Ahhhhh… you need to mount a friend’s pendrive… or you have an external HD with a Windows partition, and you’ve just realized you need to add your Mac NTFS support?. You came to the right place!. Yes, there are a couple paid options… like tuxera and paragon. Both of them are good options, but they cost a couple dollars. And… we just wanna read a couple files… we’re not gonna be living with NTFS the whole time, right?. So, if that’s the same scenario you’re living with, let’s proceed with a free option!. Open up your browser, and open OSX Fuse’s website. You’ll need to hit the downloads tab, and install the DMG. 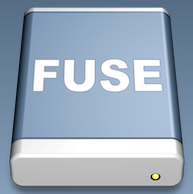 OSX Fuse is an extension platform… so we’ll need to install another component. Let’s open another browser tab, and let’s download NTFS 3G. After you install NTFS 3G, you should be able to mount any NTFS partition…. at no cost.